The summer of last year, Markus and I went on a last minute road trip to Kentucky. We were both itching to get out of the city and explore somewhere new. After a little bit of research, we found out that Louisville wasn't too far and there were a few nice stops along the way. One of these places was Zaharakos Ice Cream Parlor and Museum. Zaharakos opened October 20, 1900 and can be found in the small town of Columbus, Indiana. 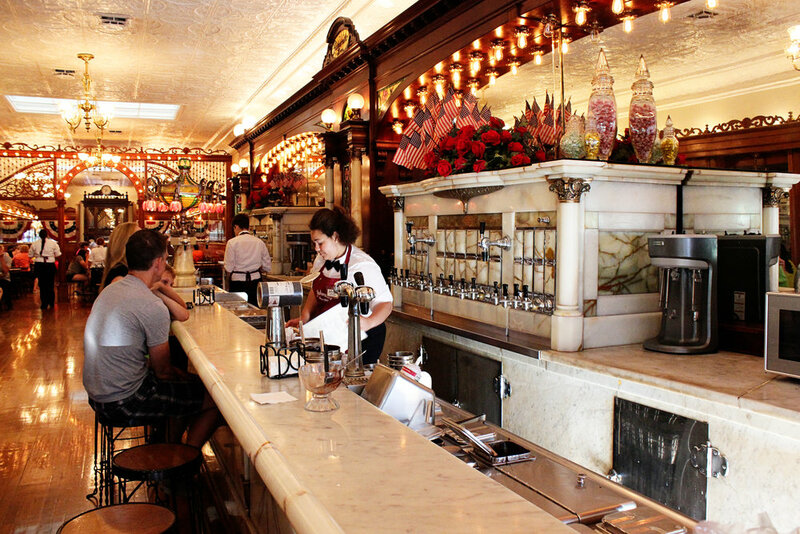 Originally, three Greek brothers opened a candy shop but over time it evolved into an ice cream parlor. There was a lot of thought and care put into the look and it's covered with carved oak, marble and tiffany glass. It was stunning and so beautiful. Also, there was more than just ice cream on the menu. 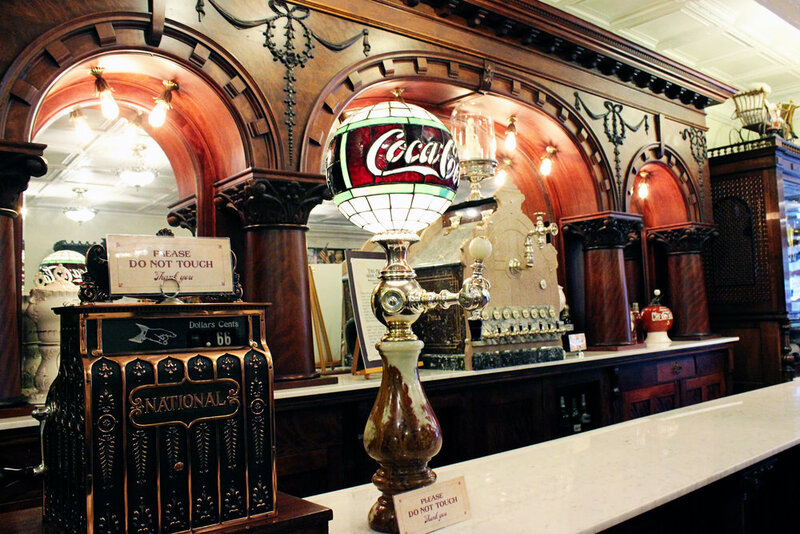 They have salads, sandwiches and even different kinds of soda from their vintage soda fountain. I'm so glad that we made the effort to stop, because it's not every day you find something from the 1900s. Markus and I live for places like this and love old roadside attractions. We make it a point to find places just like Zaharakos. The atmospere was definitley 1900s and it really felt like stepping back in time. It was the perfect stop on the way to Louisville!